You can get the book at Amazon. 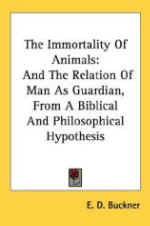 I've just finished reading this excellent book called The Immortality Of Animals by E. D. Buckner written in 1903. Awesome, profound, moral and rational teachings and explanations about the nature of animals and afterlife are found within the pages of this book. It is a comprehensive look at the principles of reality by a full blown mature, loving, and complete human mind. Respecting animal life, and similarities between mankind and animals in relation to the soul/mind in which all living souls are immortal. Man and woman and animal are all created/formed out of the earth and all have the same God-breathed breath. Christ was born amongst the animals and He fasted 40 days living amongst the animals. He referred to Himself as the Lamb of God and the Good Shepherd, and a dove represented the Holy Spirit. The New Testament is the `animals Bible', for the poor in spirit. God made a covenant with Noah and with the animals that He will never again cut off all life with a flood. God said, "Every animal is Mine." There is a lot of Scripture in this book, but concerning Mr. Buckner's own thoughts on this subject I was amazed at his brilliant intellect. I kept going "wow, that's right! I never thought of that, yeah!" He explains how the animals are objects of God's creative love. They cannot sin, and are under no moral law. Their sufferings, as well as man's, are a result of the Fall; then of man. The effects of the Fall changed the nature of our eating, health and lifespan. Animals will be rewarded for their sufferings. There is God's justice in the end for them. Heaven is a real place for all God's creatures. Solomon says animals have spirits. God preserves both mankind and animals, the Psalms say. Animals were sacred to the ancient Egyptians. There are animal mummies buried next to Egyptian humans. 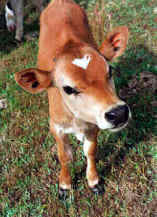 We learn which religions teach kindness to animals and that they were NOT created solely for man's use. The worst sin is cruelty to animals and many of these are done by so called Christians. How can common sense even fathom that a diabolical murderer might make it into Heaven but a sinless animal would not? I don't think so. We see how people have used and abused animals for financial gain and for scientific advance. According to the Bible many Christians should be following their God given conscience, supporting animal rights groups, repenting, and taking responsibility and being accountable for their actions against the animals. Abraham Lincoln was a great and kindhearted Christian man who was once seen rescuing a baby bird that had fallen out of its nest and gently put it back in. Mr. Buckner explains the intelligence of animals. They have better moral values and skills than most people. Fidelity, and love, are one of the highest and strongest attributes of the soul, and is greatest in animals. 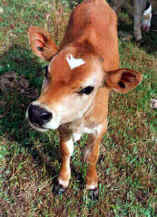 Animals, especially domesticated animals, exhibit numerous attributes some of which are love, hate, unselfishness, pride, jealousy, loyalty, body and verbal language, friendship, reasoning powers, memory, foresight of consequences, and a sense of moral responsibility, all of which belong to the spirit and not the body. Animals posses knowledge, intellect, thoughts, dreaming abilities, physical and emotional feelings, and free will. Instinct is also a very strong attribute of the soul, and it is superior to man. They receive their knowledge/instinct directly from God and are governed by the same physical and mental laws as man. Many people can honestly say that their companion animals are the ones that have truly taught them what love is really all about. I know I can say that. They are educated by their parents and by experience; they build houses and have families. The only difference between them and humans is the degree of intellect. Monkeys are an example of a higher than average degree of intellect. Communication with animals is a spiritual thing, not physical. The eye cannot see without a soul's presence. Every movement and sound they make is a result of messages to the brain that have nothing to do with their physiology. The soul is in the brain/mind. Matter - cannot think or speak. Matter - cannot move without the spirit. The book shows how and why the animals praise God according to Scripture and according to their own nature. Animals are God's pleasure proving an afterlife. Instead of limiting God's goodness, mercy, power and love to humans like so many people do today, he demonstrates how God extends His immense love for ALL of His creation. Theology's flimsy rationale for animals having no souls is discussed. There is a very eye opening, yet comforting, explanation about the issue of the animal sacrifices in the Old Testament. Animals as compared to mankind including infants, savages, the mentally challenged, and the heathen in relation to the placement of their souls; how cruelty is offensive to God; how man is animal's worst enemy, for both wild and many domestic animals; how we should be teaching children, and much more. God's tender mercies are over ALL of His works! (Psalm 145:9) It is an excellent and highly recommended book filled with practical knowledge and wisdom and I think everyone should have one on their bookshelf.